The heart and soul of Camp Fircom, kids camps create communities of belonging and memories to last the whole year. Intermediate camp takes everything your junior camper learned and adds a couple extra fun twists. Intermediate campers also get a chance to challenge themselves on an overnight trip tailored to their level of experience! Intermediates will spend one night camping outdoors under the watchful eye of their camp counsellors. This is a great way to prepare our Intermediate campers for out trips in our Polaris youth programs. 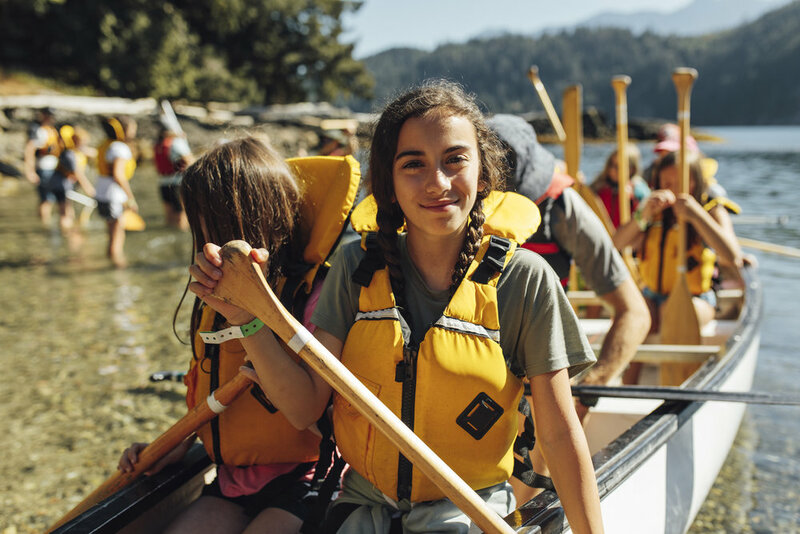 They also get to stay up until 9:30pm for special late night programming and enjoy two waterfront blocks to develop their canoe and kayak skills! Everything at camp is “challenge by choice”. No kid is forced to anything they don’t want to do, but they will be encouraged and supported through whatever is challenging them to try it. For first time campers, this ensures camp is safe and fun. The variety of options means there will be something for everyone to enjoy. Intermediate campers sleep in Cabins or in Sibley tents during the week. The Sibley tents have the advantage of allowing a smaller group, just 8 campers, and are a step towards living on out-trip in Polaris. Camp Chá7elkwnech: Walking with Skxwxù7mesh will happen in the week of August 12th! Intermediate, Session 3 is a part of this camp. 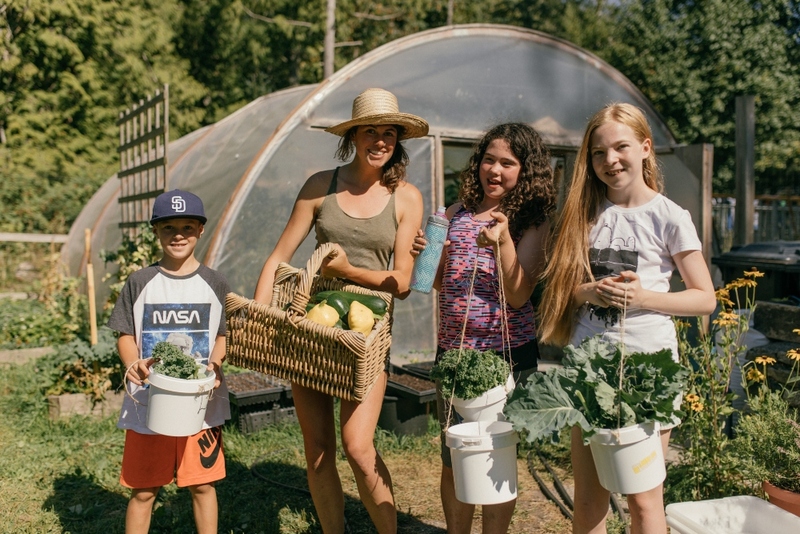 Campers participating in this session will do many of the Fircom activities they love while also being immersed in culturally based programming led by Squamish/Skxwxù7mesh elders. 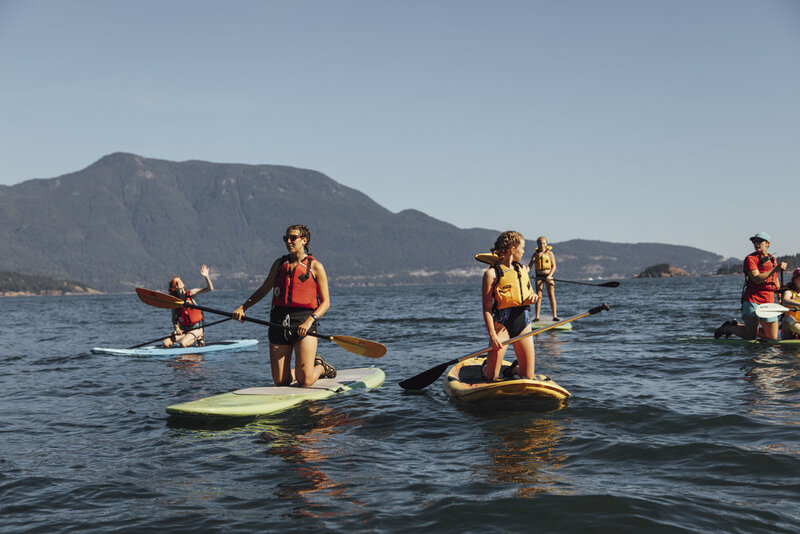 The Camp Suzuki Adult Leadership program (age 19+) will be on site over the week and all the programs (Juniors, Intermediates, and Polaris) will learn about the natural ecosystems within the Howe Sound from Skxwxù7mesh facilitators and staff from the David Suzuki Foundation. Staff have been working hard on designing this exciting collaboration. Registration opens on Thursday March 28th at 7pm. In order to make the transportation process easy on everyone, Fircom is providing bus transportation to and from Horseshoe Bay from East and West Vancouver! We do everything we can to ensure the bus arrives on time. However traffic on the roads and on the water sometimes cause delays. Thank you for your patience, if you have time sensitive needs on pick up days, please contact info@fircom.ca and we will connect you directly with the Summer Camp Manager. Horseshoe Bay is a very popular spot during the summer months and Fridays (the last day of camp) is especially busy with very limited parking. We’re encouraging all parents to use our Camp Fircom Bus to let us take care of getting campers to and from camp. And besides, the camp experience starts on the bus - our staff will be playing bus games and singing songs!